The object of logistic management is to optimise the whole value chain of the distribution of goods and merchandise. One of the main aspects of such an analysis is the optimisation of vehicle routes to deliver final products to customers. There are many algorithms to optimise the related vehicle routing problem. The objective function of that problem usually involves distance, cost, number of vehicles, or profits. This study also takes safety and environmental costs into account. Thus, the authors develop variants to traditional heuristic algorithms, in which they include the traditional costs along with safety and environmental cost estimates for real scenarios in Spain. This methodology is called ASEC (Algorithms with Safety and Environmental Criteria). These considerations raise the value of the global objective function, but permit a more realistic cost estimate that includes not only the internal costs involved in the problem but also the related externalities. Finally, real cases are discussed, and solutions are offered using the new ASEC methodology. 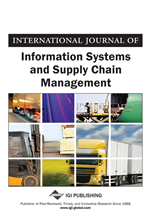 Nowadays, there is an increasing concern across the world about the environmental impact of business management decisions, many of which affect the transport and logistics sectors (An, 2008). This has led to detailed analysis of transport externalities, which, in turn, has given rise to the concept of sustainable mobility (European Commission, 1998). This term covers all of the various environmental and social impacts that are generated by business logistic activities. We understand as externality in an economic activity an impact on a party that is not directly involved in that activity. In such a case, the associated prices do not reflect the full costs or benefits in production or consumption of that activity. An advantageous impact is called an external benefit or positive externality, while a detrimental impact is called an external cost or negative externality. The environmental externalities generated by transport activities in Europe have a tremendous impact on the economy of every European country, with economic costs amounting to 8% of the Gross Domestic Product in 2000 (INFRAS/IWW, 2004). Concerns have focused on road transport as the primary mode of freight movement and the largest source of freight-related CO2 emissions in developed countries (Intergovernmental Panel on Climate Change, 2007). Road freight, moreover, generates 30% of the external costs of transport activities (European Environment Agency, 2002). It is therefore important to incorporate these ideas and concerns in the daily route management of real companies by searching for high-quality routes to offset environmental costs. Such routes will be classified in this paper as sustainable routes. Another important scenario to consider in logistic activities is industrial accident analysis or the study of accidents in the workplace. The impact of traffic accidents on delivery activities in many companies is already well known. The main focus of our study is not this issue, however, but on potential accidents in the workplace. Accidents of this kind are usually related to the loading and unloading of vehicles or the handling of goods at the beginning or end of the delivery process. There was an upward trend in the accident rate in the Spanish transport sector during the 1990s with a similar rise in the accident frequency indices or accident rates (Pinilla, Bordas, Gete, Nova, & Sanz, 2001). Furthermore, the fatality rate in the workplace for the transport sector is more than three times the national average for other economic sectors in Spain, surpassed only by the fishing and mining sectors. Therefore, measures to avoid workplace accidents will make logistic activities safer and healthier, enhance human resource performance, and decrease absenteeism in company staff. This paper analyses route-building using variants of traditional algorithms (Clarke & Wright, 1964; Mole & Jameson, 1976) for the Capacitated Vehicle Routing Problem (Toth &Vigo, 2002; Golden, Raghavan, & Wasil, 2008), including the implementation of new costs in addition to classic ones such as distance travelled or delivery expenses. These new costs relate to the introduction of new safety regulations in vehicle loading and unloading, as well as the assessment of the environmental damage caused by logistic activities. Safety costs are easier to estimate than environmental costs, because the former are closely related to very well-known safety measures, while the latter require complex computations to obtain monetary estimates of the negative environmental impact of transport and logistics. Safety cost estimations in Spanish transport focus on absenteeism and the workplace accident rate (Bayo, 2003). Environmental cost estimation, meanwhile, must be linked to specific geographical areas, and requires data on the exact delivery policies for each vehicle (ECMT, 2003; Carlow, 2001).